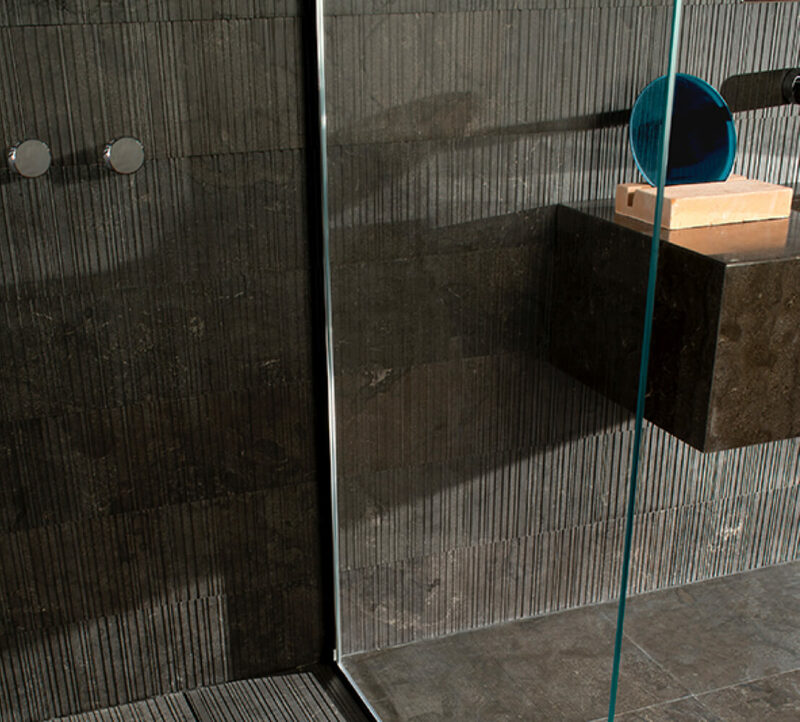 Raw is a collection of natural stones given a raw, primitive texture which is dramatically emphasized when proper lighting is cast upon it. 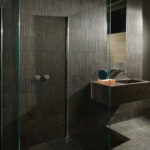 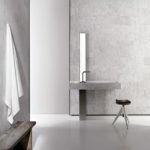 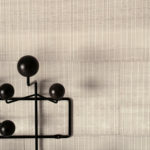 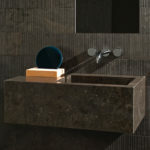 The collection was designed by Piero Lissoni. 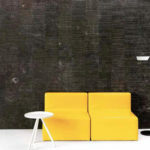 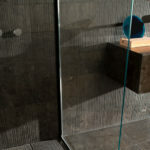 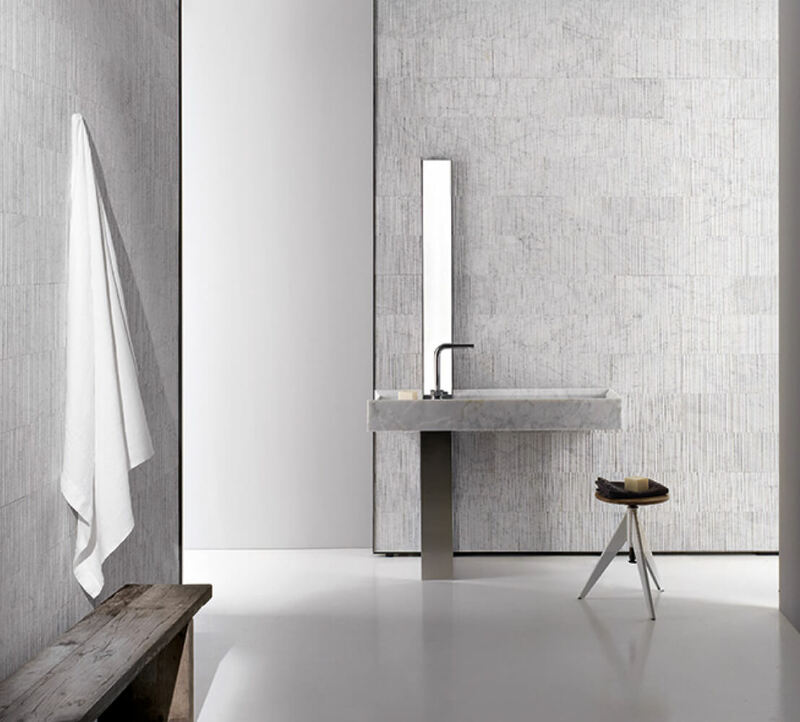 With an extraordinary attention to detail and a playful approach to life and design, Lissoni is able to transform natural stone, a material that has been used in architecture and design for centuries, into an extraordinary canvas for texture and shadow. 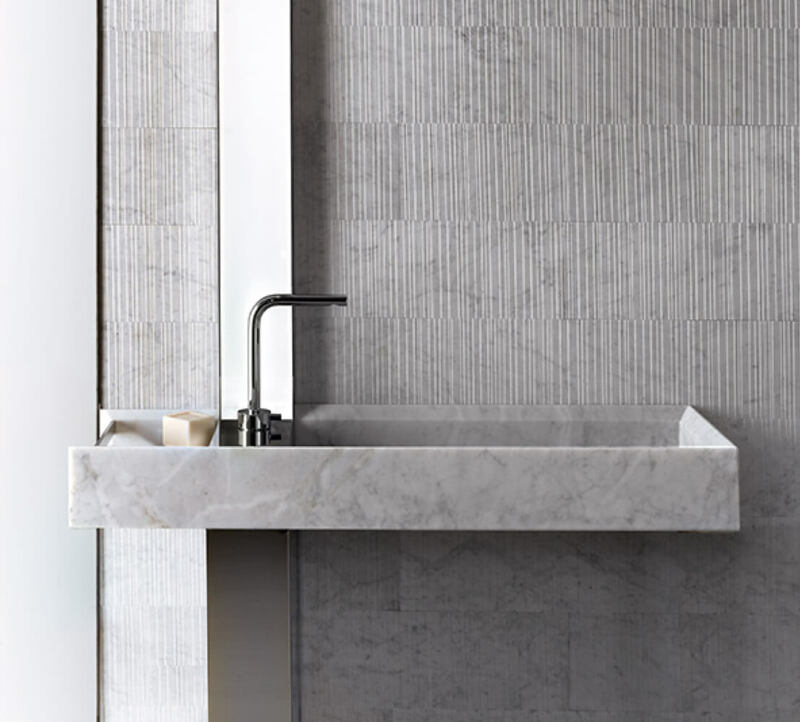 By examining the detail and experimenting with its surface and the treatments applied to it, Lissoni creates nuances which are at first glance small, then upon further interaction become grand in scale. 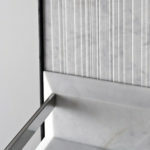 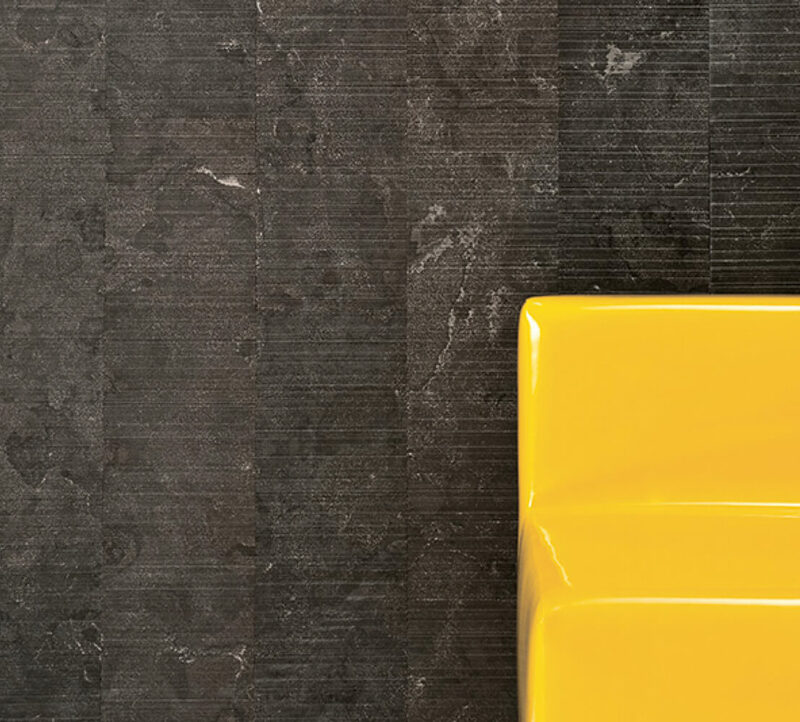 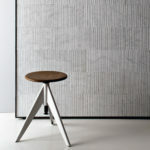 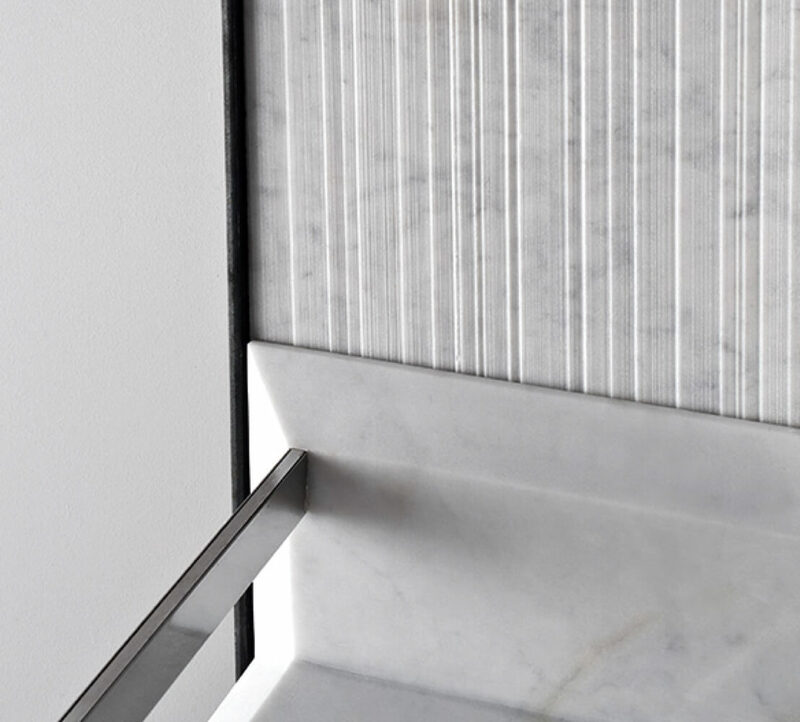 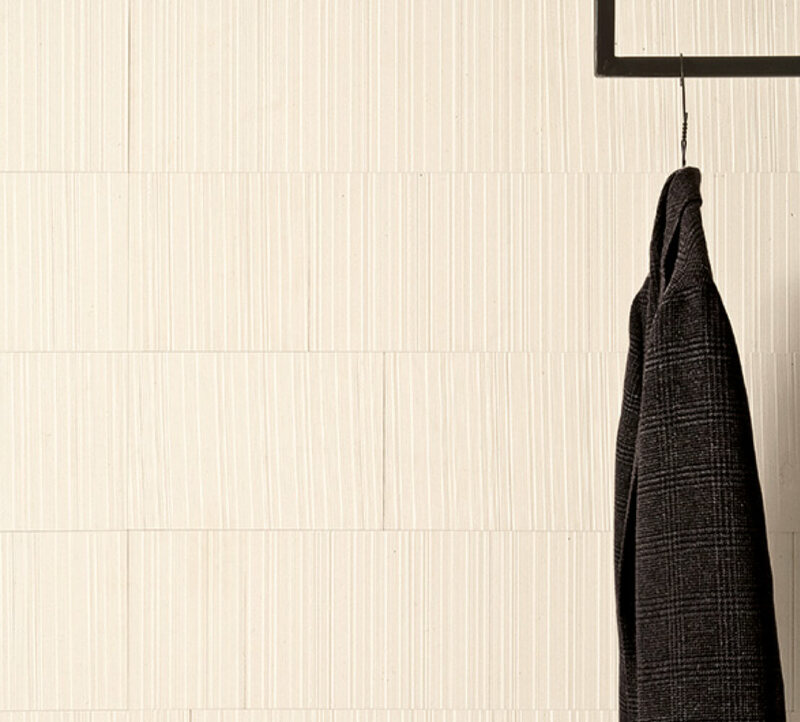 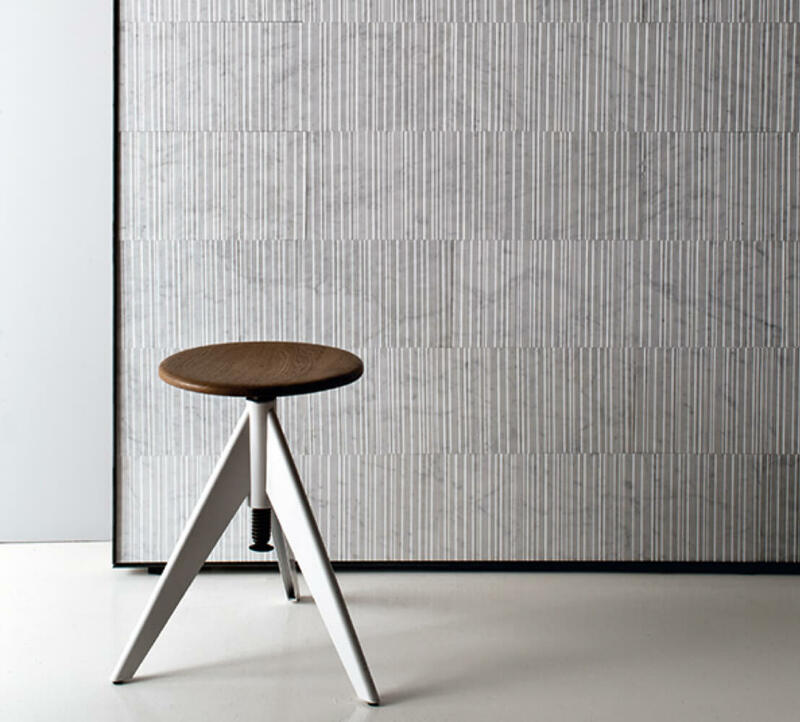 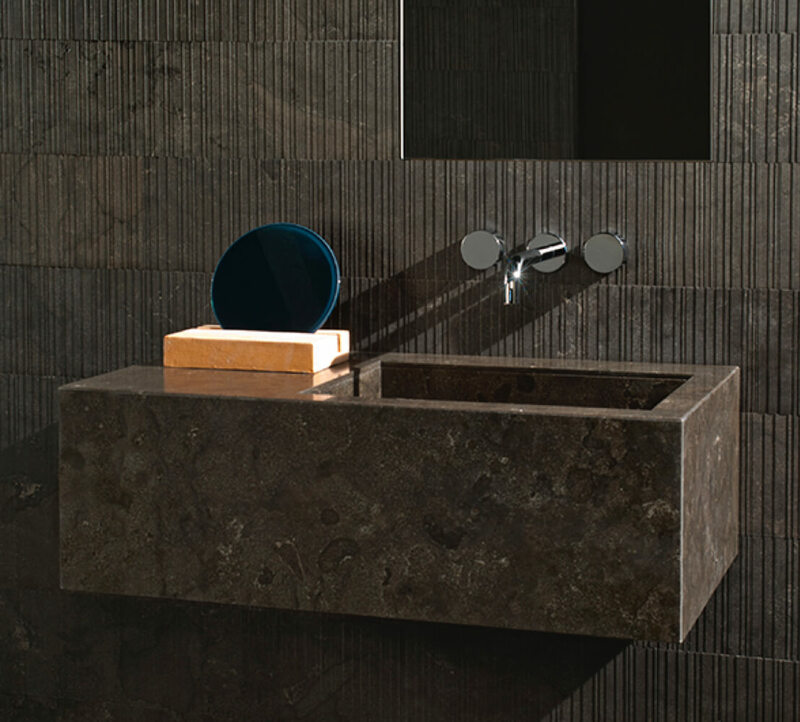 In the case of Raw, Lissoni evolved the traditional appeal of the world’s most popular marble and limestone, then provided a rough cut, engraved effect on the surface. 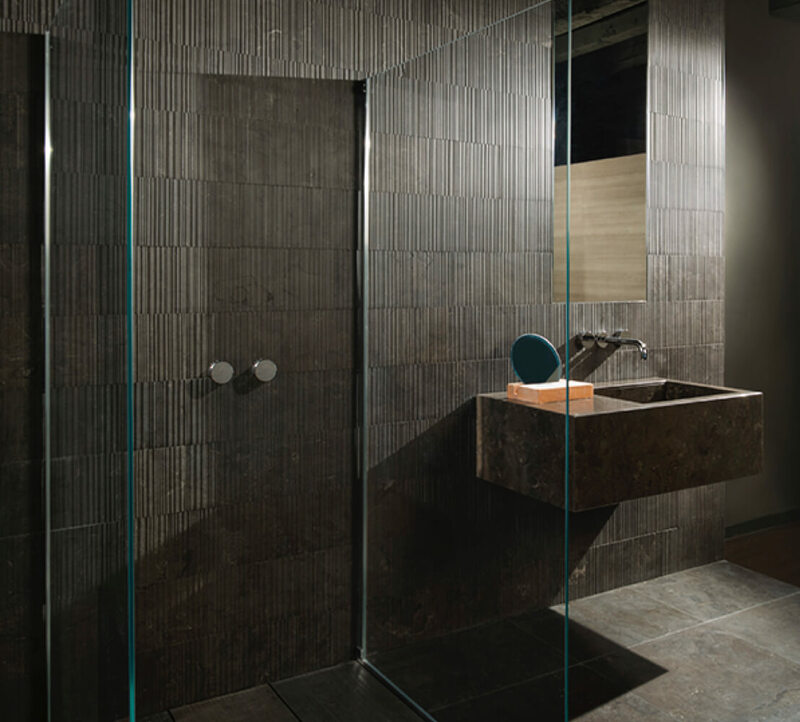 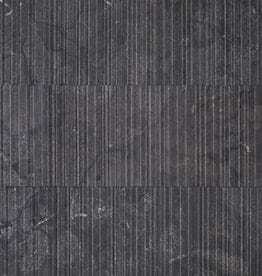 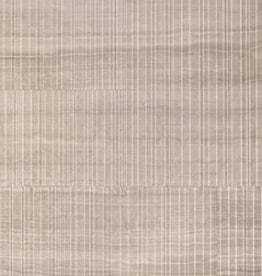 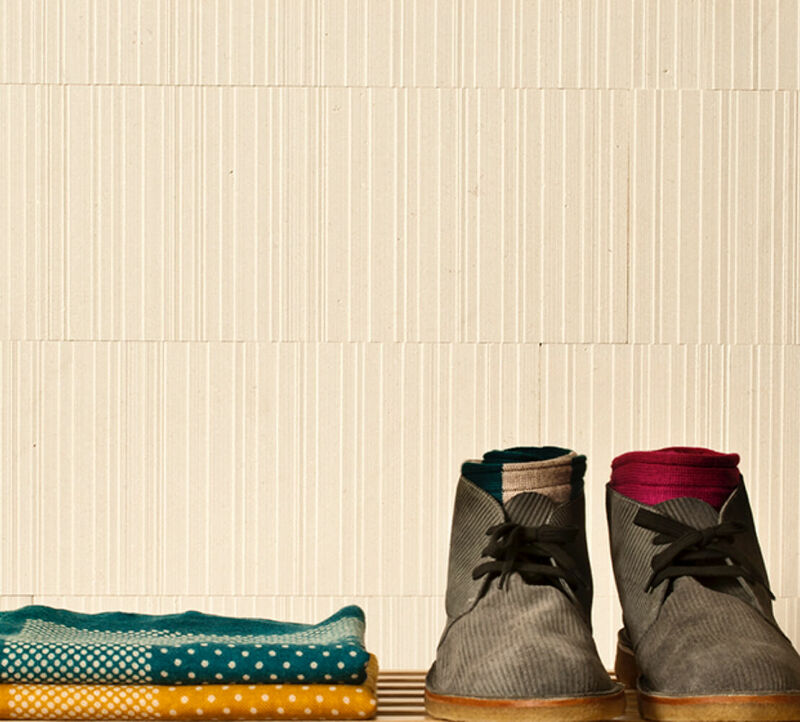 This evolution of nature is taken a step further as materials are cut into modern planks as typically seen in wood. 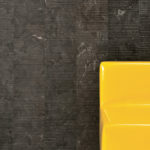 The result is a handcrafted, yet raw, appearance that can be best summed up by the description “precisely rugged”. 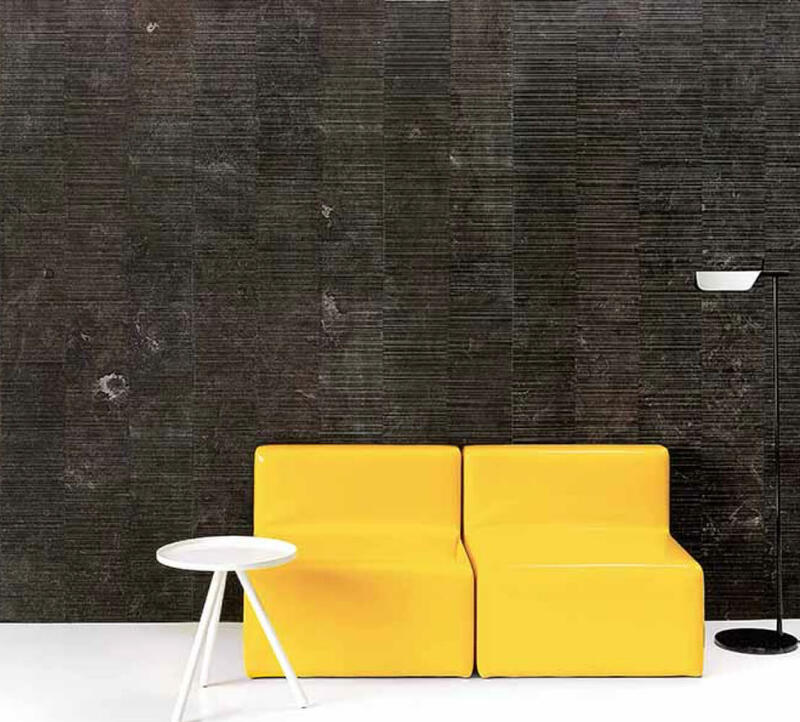 Raw was selected as a finalist in the Interior Design Magazine Best of Year Awards 2014. 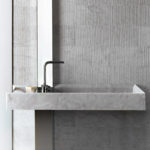 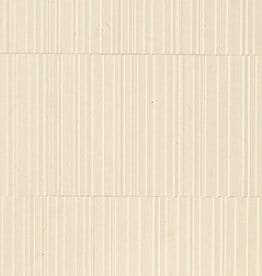 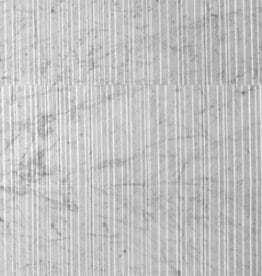 Raw is available in 4 materials Bianco Carrara (marble), Creme d’Orcia (limestone), Pietra d’Avola (limestone) and Nublado (marble). 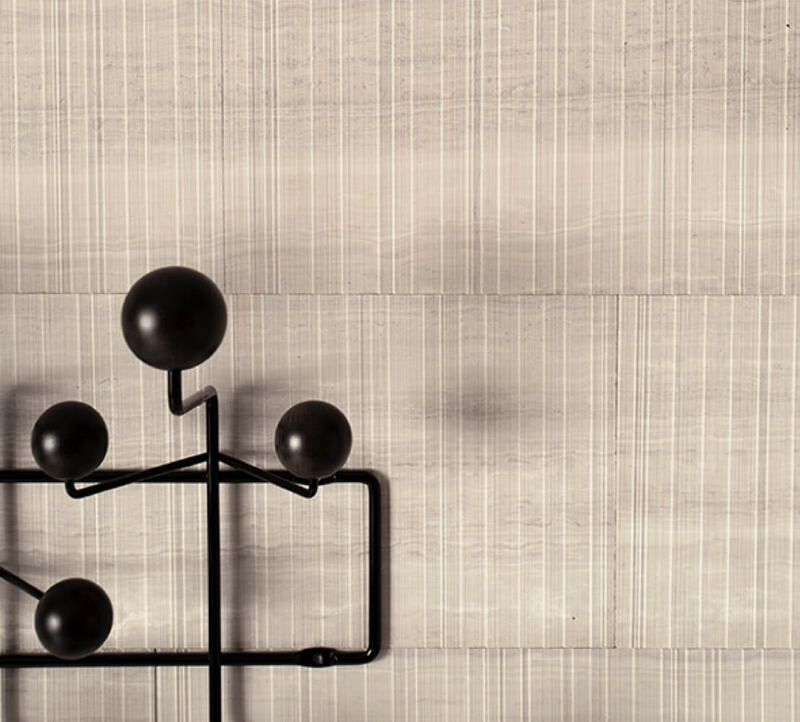 For installation guidelines, please refer to the Raw by Salvatori Installation Guide.